President Trump assailed comedian Kathy Griffin Wednesday on Twitter, blasting the celebrity comic for posing in a video showing her holding what looked a lot like a bloodied, decapitated head of Donald Trump. It wasn't right when peoplel hung lynched Obama effigies, just as what Kathy Griffin did isn't right now. For those asking, I said on air that I thought the beheading imagery by Griffin about the president was disgusting and inappropriate.
.@kathygriffin I'm sorry but that is totally inappropriate and so very offensive. And I have to believe you're smart enough to know better. This Kathy Griffin thing is so upsetting and disgusting. Jesus--what is wrong with people today? Have we lost all our humanity? I'm all for artistic and comedic expression, but I just saw the violent Trump imagery in #KathyGriffin's photo and I find it horrible. "Kathy Griffin should be ashamed of herself. My children, especially my 11 year old son, Barron, are having a hard time with this. Sick!" Trump tweeted around 7:30 a.m. 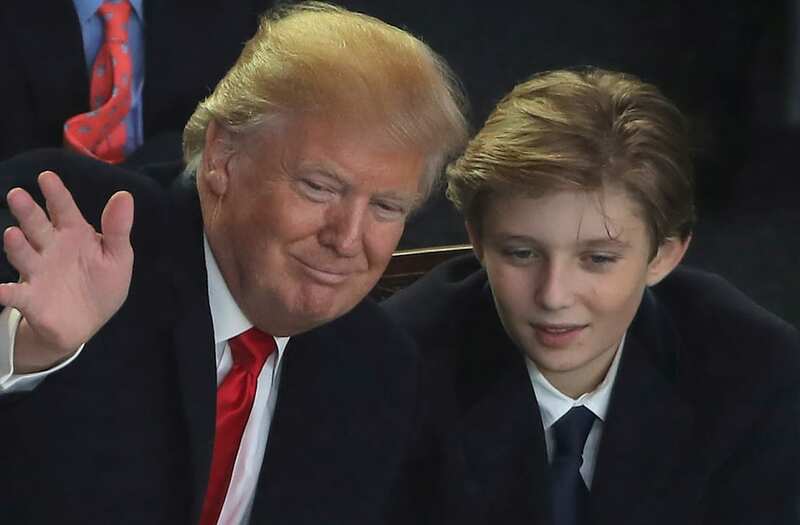 According to TMZ, sources close to the Trump family said the photo traumatized Barron Trump -- as he didn't realize it was fake when he first saw it. The 11-year-old first son was apparently watching television alongside his mother when a photo of Griffin's video appeared on the screen, allegedly panicking and screaming, "Mommy, Mommy!" "He's 11. He doesn't know who Kathy Griffin is and the head she was holding resembled his dad," the source revealed, saying his initial reaction to the image was that something horrible had happened to his dad. TMZ first leaked the photo on Tuesday, reporting that the comedian posed for the photo with photographer Tyler Shields. The media outlet also posted footage of the shoot. Griffin took to Twitter later on Tuesday night to apologize for the image she said was "too disturbing," and that "it wasn't funny." "I understand how it offends people," she said, adding "I've made a lot of mistakes in my career."